Owning and managing a diverse fleet of vessels. SEAMEC specialises in vessel management, marine management, dive support, fire fighting, subsea construction, ROV support, pipelaying, rescue operations, logistics, mooring & de-mooring, cranage. Installation of flexible pipeline from one platform to another passing through I Tubes. Seamec I was awarded a contract with ONGC for Air Diving Contract for a period of 5 years. For the said purpose, vessel has undergone modification and after modification she has been mobilized to ONGC on 21st 2014. The contract is for a period of 5 years having aggregate value of USD 76,302,260. The SEAMEC-II is a multifunctional diving support vessel capable of working throughout the year in severe sea and weather conditions. Seamec II, long term charter for 3 years with HAL Offshore Limited for ONGC IMR jobs commencing from 28th September 2016. The Contract value is about US $ 33.441 million. SEAMEC-III is a multifunctional diving support vessel capable of working throughout the year in severe sea and weather conditions. SEAMEC III is deployed with ONGC for a period of 1 year for IMR jobs. The Charter commencing from 4th December 2018. The Contract value is about US $ 22.1 million. SEAMEC PRINCESS is under deployment wef 3rd week of December 2018 with M/S Supreme Hydro Engineering Pvt. Ltd. for a firm period of 150 days. The Contract Value is about USD 3.08 million. 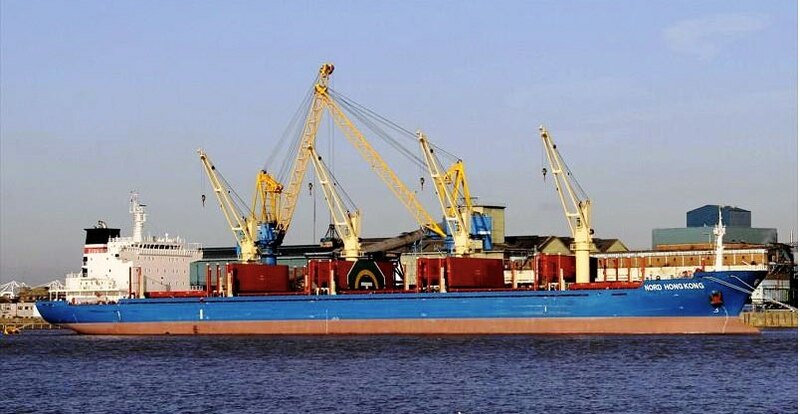 SEAMEC has entered into manfleet and acquired a Bulk Carrier by name “SEAMEC GALLANT”. The Ship registered as an Indian Flag Vessel. The cost of vessel is US $ 9.250 million. The ship has a long term Charter for 3 years effective from 31st March,2017 for World Wide Trade.